Woodpeckers drill holes into wood to find bugs & worms for food. When Elwood begins pecking at this piece of wood though, he finds it's as hard as stone! When Hamilton Troll finds Elwood, he is laying against the rock-hard wood with a headache! Hamilton wants to help Elwood and is reminded of something the Beaver Brothers once told him. 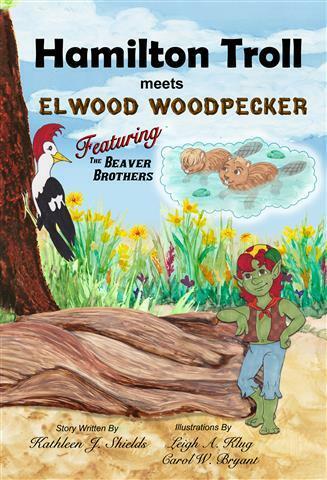 Join Hamilton as Baxter & Boswell Beaver teach the two about petrified wood so they can then teach others about this amazing creation of nature!